Bhojpuri movie "Pyar ke Rang Hazaar" will be one more Bhojpuri movie of Action Hero, Viraj Bhatt. As a fifth movie of B.S. Media, "Pyar ke Rang Hazaar" is being produced by producer Balwant Shastri. The movie is being directed by Braj Bhushan, a President Award recipient director. The music is composed by Rakesh Dwivedi and the lyrics are written by Munna Dubey. The fight themed love story movie will feature Viraj Bhatt in leading role and the movie is being shot in Bihar and Nepal. Biraj Bhatt’s debut movie was Shovit Basnet’s action movie Agnipath. Although the movie is named after an Indian movie with same name, the story is different. The movie features another action hero, Nikhil Upreti, actresses Sirjana Basnet, Rejina Upreti, and Sajja Mainali. The movie produced under the banner of Pashupati Records is based on a story of a Nepali Marshal art player. The blockbuster action movie features revenge, action, drama. Agnipath had successfully celebrated 100 days in many theaters around the country, a true indicator of a highly successful movie. The movie established Biraj Bhatt as the action hero in Nepali movie industry. Click here to watch Agnipath. 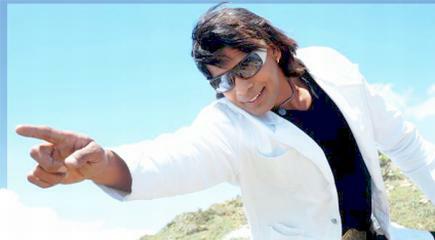 The action star of Bhojpuri cinema has appared in a new look in Bhojpuri movie Barood. The moive under the banner of Kumari Mai movies and produced by production director Ramakanta Prasad, Biraj will be seen with long mustche and long hair. Barood is also the first film Biraj is acting with Bollywood actress Monalisa. The first copy of Barood was out earlier this month. Dushmani, a movie directed by Rajkumar Pandey features Bhojpuri superstar Nirahua and Viraj Bhatt in the lead roles. The two stars fight with each other in the film. The movie also features top actress of Bhojpuri cinema, Rinku Ghosh. The film was released simultaneously in nearly 70 theaters in Bihar in May of 2011.